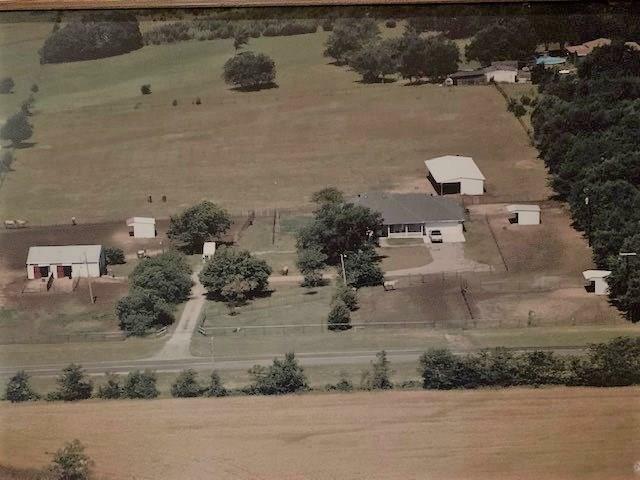 Fabulous horse property on 6 acres with a scenic back patio view, insulated 4 stall barn, concrete floors, tack room, vet racks inside & outside, water & electric. 2nd barn has 4 stalls, 3 loafing sheds. Majority of property has perimeter pipe fence with cross pipe fencing. Three seperate pastures see aerail photo. 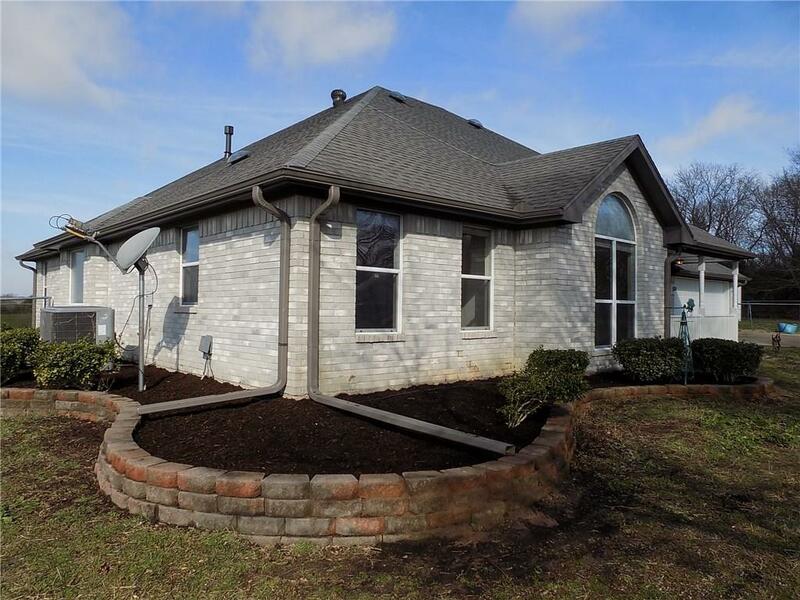 This 3-2-2 home has just been painted inside & outside, carpet replaced & move-in ready. Offers an open concept, formal dining, large family room, generous natural lightning, vaulted ceilings & FP. Kitchen features breakfast bar & nook, spacious master suite with walk in closet, separate shower & garden tub. 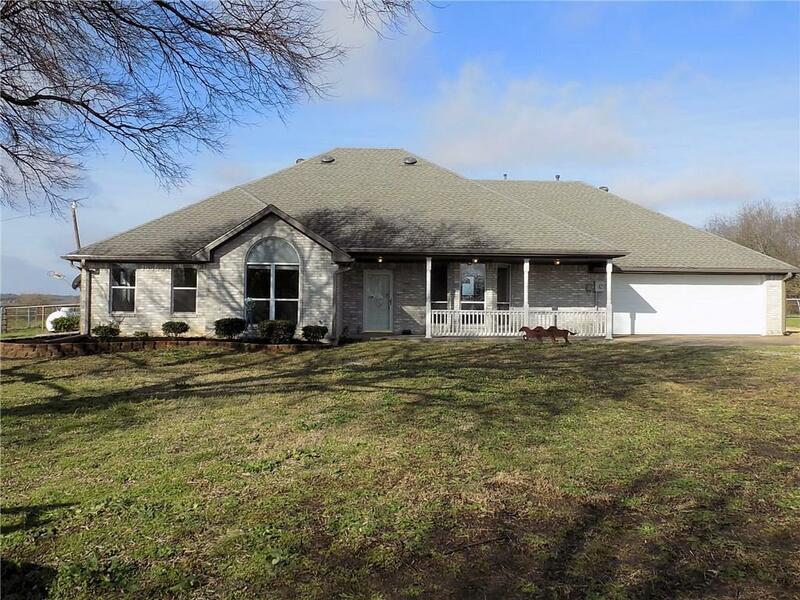 Nice size office, inground storm shelter in oversized garage, foam spay attic insulation. 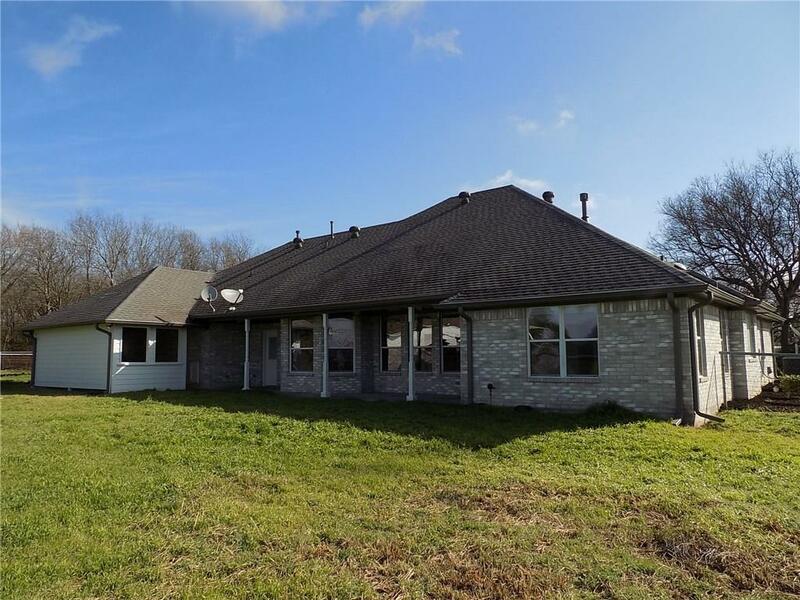 Offered by John Ferraro of Corum Realty.